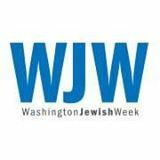 The Washington Jewish Week has a feature about “Stolen Legacy” this week entitled “Reclaiming Krausenstrasse 17/18.” It is an adaptation of sections of the book. Today, and over the weekend, CBS News Weekend Roundup program is broadcasting an interview with me conducted by National Correspondent Dan Raviv. He asks why I pursued a claim on Krausenstrasse 17/18, the hurdles I encountered, what I discovered along the way and what it all meant to my mother. 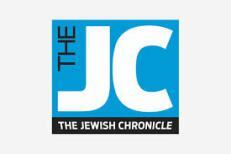 And here is the interview – for anyone who wants to listen! Read this excerpt from the list of recommended books for Summer 2015. A hammock, a tall glass of something cold, and a book. That sounds like pretty much the perfect summer day. With so many books coming from so many local authors and publishers, you can fill your beach bag with a summer-full of reading material (from your local bookstore, of course) and #ReadLocal all season long. 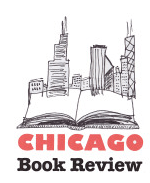 Here at Chicago Book Review, we once again asked area publishers to share information about some of their hottest upcoming titles. The result is CBR’sSummer 2015 Preview, a month-by-month listing of some of the most exciting books coming out from local authors and local publishers between now and Labor Day. In the list below, you’ll find information about books covering an interesting array of subject matter, fiction and nonfiction, for adults, young adults, and children alike. CBR’s Summer 2015 Preview promises something for every reader—books from local authors and publishers that are sure to please, whether you’re at the beach, at the cottage, or hanging out on the back porch or at the pool. 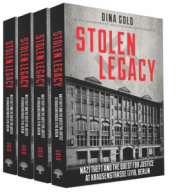 Today Deborah Kalb posted her interview with me about Stolen Legacy online. She wanted to know what had made me decide to search for the long lost building behind the Berlin Wall. Also, how I had felt as I uncovered more and more information which suggested my grandmother had not, as everyone suspected, been telling me pure fairy stories. How had I managed to balance my role as a journalist at the same time as being personally and emotionally involved in the unfolding drama? All good questions, and I did my best to answer them. In a week’s time my book will be published and available for purchase!